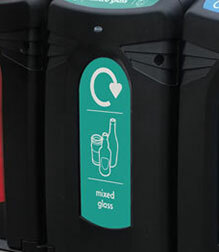 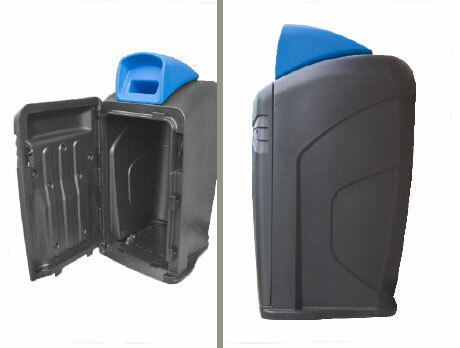 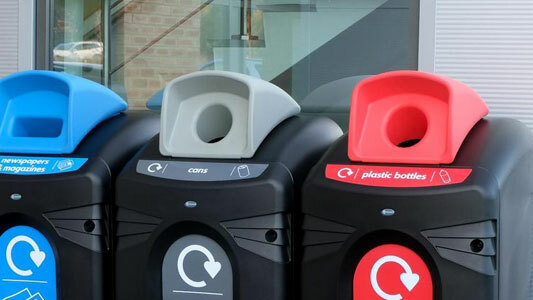 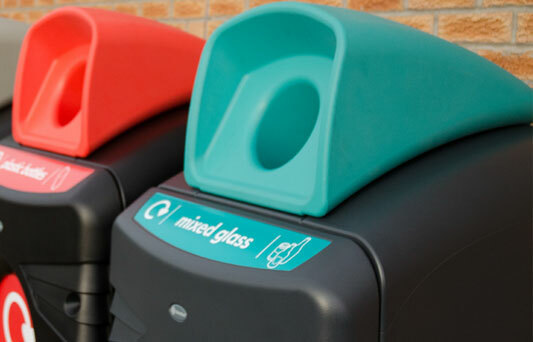 Nexus City 140 Mixed Glass recycling bin is part of a new range of dedicated recycling containers with brightly coloured apertures and graphics, designed so that they stand out as a recycling unit. 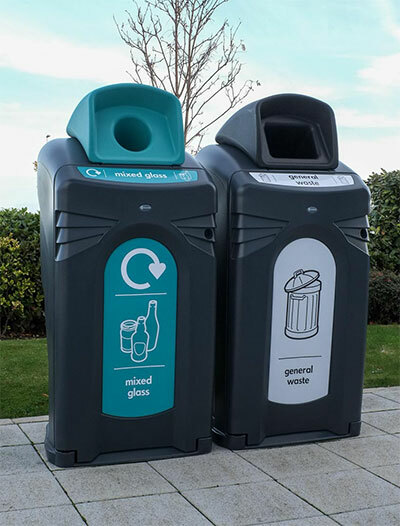 A new brightly coloured hood is used to transform the Nexus City Food Waste Unit into a sleek and stylish recycling bin to help encourage recycling and minimise cross contamination of waste. 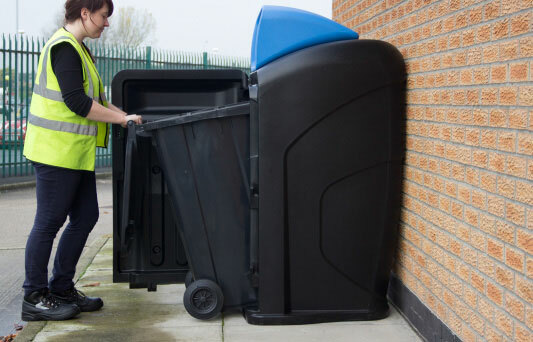 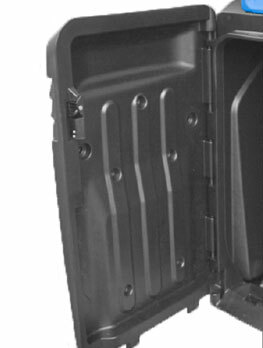 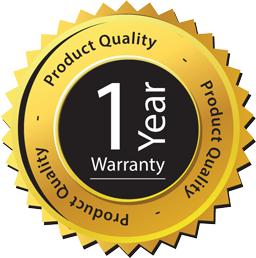 Constructed from double skinned Durapol, the Nexus City 140 Recycling hoods are extremely robust and will withstand heavy use and operator misuse. 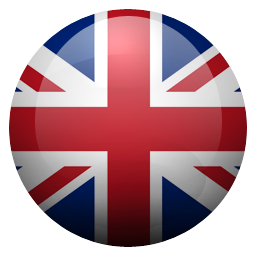 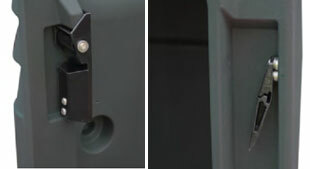 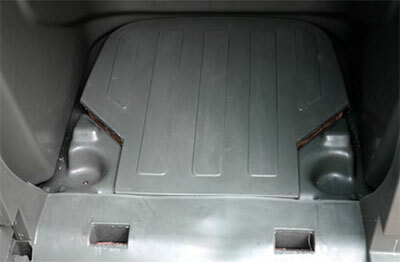 The material is vandal and weather resistant offering a long life and minimal maintenance.